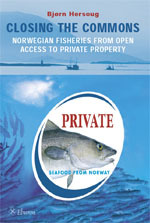 According to the Norwegian Minister of Fisheries “to date no public right has been turned into private property and no one has gained rights in perpetuity to even one kilo of fish” (Ludvigsen 2005). Still rights and accompanying quotas are being bought and sold at increasing prices, without much political attention. Closing the Commons traces the development of limited access back to the 1930s, when a licencing system was established for trawlers operating in Norwegian waters. The process is followed through the closing of the offshore fleets in the 1970s, and the coastal fleet in the 1990s. As per 2005 more than 90% of all Norwegian fisheries are closed through various licence systems and rights of participation. This process is not the result of any grand design, but the gradual development through 70 years of fisheries policy, where the present “end result” is rapidly approaching a system based on Individual Transferable Quotas (ITQs), well known from Iceland and New Zealand, among others. 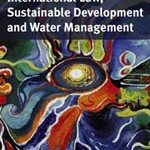 The book describes and analyses the process, including also related sectors, such as aboriginal fisheries by the Saami, recreational fisheries and aquaculture. While the process is seemingly path dependent and difficult to change, the author also demonstrates to what extent there still is freedom of choice regarding future policies, including also the issue of resource tax, so as to create a more legitimate management regime. The book is the first attempt of giving a coherent presentation of the entire closing process for an English speaking audience, and is based on a large number of Norwegian research contributions. Professor Bjørn Hersoug has been the rector of The Norwegian College of Fishery Science , University of Tromsø (Norway) and has been involved with fisheries management in Norway as well as in other countries for nearly 30 years, both practically and academically. Hersoug has previously published Unfinished business. New Zealand’s experience with rights-based fisheries management (2002), Fishing in a sea of sharks. Reconstruction and development in the South African fishing industry (2002) and Fisheries development. 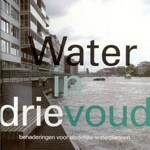 The institutional challenge (2004) (together with Svein Jentoft and Poul Degnbol), all published by Eburon.